A business that has been at the heart of Limerick City since its opening in December 2001, Smyths Bar and Icon Nightclub is one of the most loved and popular venues in the county. Located on Denmark Street, it is renowned for its diverse variety of services from fantastic dining experiences to unbeatable entertainment. From breakfast, lunch and dinner to private parties, big band performances and excellent DJs, the people of Limerick know that this is where most of our friends are most likely to be on a night out. With the famous Icon Nightclub (or D’Icon as it is fondly known), this top entertainment venue is Limerick’s sweetest spot to socialise. We caught up with James Lennon, the general manager to learn about everything they have to offer. James says, “Where else can you go in Limerick on a night out that you can buy a bucket of beer, see a fantastic live band and continue your night in a nightclub, all for €15?” Smyths Bar is definitely much more than your average pub, as it has live music 7 nights a week. The bands that perform include the likes of cover bands such as Traffic and Plan B that draw in huge audiences with their musical talents, covering all the rock and pop classics. Along with them there are the 10 piece motown and soul sensations Papa Zitas, as well the rhythmically explosive 10 piece Pearly Whites playing for customers. The addition of bigger bands with brass sections is allowing the bar to move away from the typical rock and roll style and provide something extra onto the entertainment side of things in the city. This is just one of the many reasons why Smyths Bar is ahead of the game. As Smyths Bar closes, the party gets started at Icon, where customers have free entry mid‐week into the glamorous nightclub. From the moment you walk through the doors, customers are welcomed into a friendly and modern environment, surrounded by eye catching décor and a positive atmosphere. It’s fair to say the venue is a hot spot at the centre of Limerick nightlife and the social happenings around the city. James also talks about how Smyths Bar stands out from all the rest and how it continues to grow as Limerick’s number one entertainment venue. While staying true to what the people of Limerick enjoy, Smyths Bar draws a lot of its inspiration from the biggest trends across Europe and America, bringing the overall setup of the venue together on both a local and global scale. James mentions “We stay ahead of the competition, there’s no point in being reactive with this; it’s about being proactive. We are always looking forward, and thinking outside of the box with new ideas as we continue to grow”. While the venue is most commonly recognised for its entertainment, the delicious selection of food is served with precision. Food is served Monday to Saturday from 9am to 6pm and Sundays from 12:30pm to 6pm. There is something for everyone on the menu as it continues to grow with pizza now also being served until 10pm on Fridays, Saturdays and Sundays. It is hard to believe that food of such a high quality is on offer for an excellent price, with a number of deals to avail of. With carvery lunches starting from just €7.95 you are sure to find something to satisfy your needs at affordable prices. From relaxing with a coffee to enjoying a 3 course meal, you will never be short on options. Along with the food, Smyths Bar serves an unmissable range of drinks from wine to craft beers. James tell me, “There is something for everyone here in terms of selection, we have all the big sports games, our drinks selection is extensive, from buckets of beer, to signature cocktails, award winning top shelf spirits and we cater for large bookings. We have a great team of people working with us and they offer a friendly environment and customer service”. Some of the many offers include the 5 for €16 bucket deal which consists of 5 bottles of your choice served in a bucket filled with ice to keep your drinks chilled. You can also try out some craft beers from a select menu, including options such as the Franciscan Well Shandon Stout, Franciscan Well Rebel Red, Pilsner Urquell and the third Franciscan Well Friar Weisse, just to name a few. With the ‘Continental Bucket Deal’, you can choose 5 bottles from this select menu, chilled and served on ice for only €20. No matter what your taste is, there’s something for everyone, from familiar flavours to new and exciting selections. Of course the Icon NightClub, which was recently given the title of best nightclub in Ireland as a part of the Smirnoff Battle of the Clubs competition, is the number one destination on a night out in the city. I mention to James how many couples have met in Icon over the years and now have families; it is funny to think that Icon is open 15 years and that in a few short years the next generation will become their valued customers. James tells me, “We have a great community of people I have noticed throughout the years, we have families that work with us, we could have brothers, sisters, and cousins on staff and then as they move on the same thing happens again. I guess it shows that we have a good company to work for and we value the people in Limerick”. In keeping with the ethos of providing much more than an average pub practice, the bar offers an experience with a wide array of services, including a relaxed dining environment with friendly staff, top class chefs, amazing entertainment and excellent value for money. The venue can be enjoyed by all, whether you want to relax with a coffee, socialise over drinks with friends, or dance the night away in Icon. With live music 7 nights a week that include some of the best bands in the country, the eccentric and lively atmosphere is something that cannot be beaten. It has been setting the standard for the quality of entertainment since its beginning 15 years ago and continues to break barriers and set new trends. 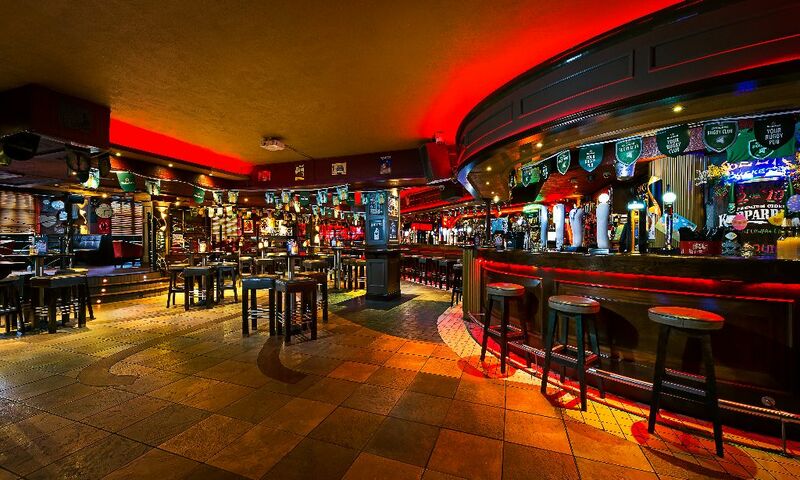 A visit to Smyths Bar is an experience not to be missed.